The other week, I spent the day volunteering at our local marathon. 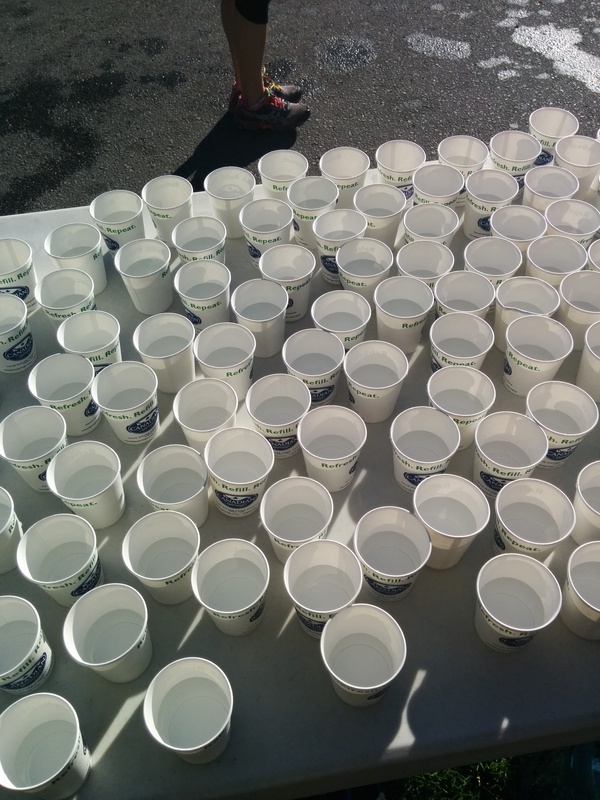 Five hours handing out water to athletes as they ran past. Each year I try to volunteer for at least one for every two events in which I participate; sometimes I am left with the dilemma of whether to volunteer or run in a race. Races don’t go ahead without volunteers. They setup, tear down, direct athletes and man aid stations. Since I tend to race a lot, I use volunteers a lot. I’m thankful to each and every one of those volunteers, giving up their weekend to allow me to do something I love. Often they spend longer out on the course than the runners, and at this time of year, that can get cold. Sometimes after a long volunteer shift, I wonder if it wouldn’t have been easier to have run the race. A great volunteer can really make your day, they help everything go smoothly and offer encouragement. Yes, they cheer! (some of them dance as well) At some races they are the only ones doing that. I know it always gives me a bit of a buzz to hear someone cheering for me, even if we have never met, and very probably never will. I always try to thank volunteers on the course, though honestly, oftentimes all I can mange is an exhausted smile and nod. I hope they get the message. This year, since I was unable to run, I had lots of opportunity for karma building. it, sometimes it just makes me feel totally inadequate as well. Yeah, you can’t beat that warm fuzzy feeling of helping in your community! I choose to be a part of an athletic community, so I should be a part of sustaining it. If no-one volunteers, I can’t race either, so I help out so others can race. How can you not feel good watching 5 year olds going all out in their first triathlon? Or seeing people achieve goals that they thought impossible? Ok, I admit that the guy who consistently finishes first on a local cross country course, in half the time I do, pushing his daughter in a stroller, does make me feel rather inadequate. 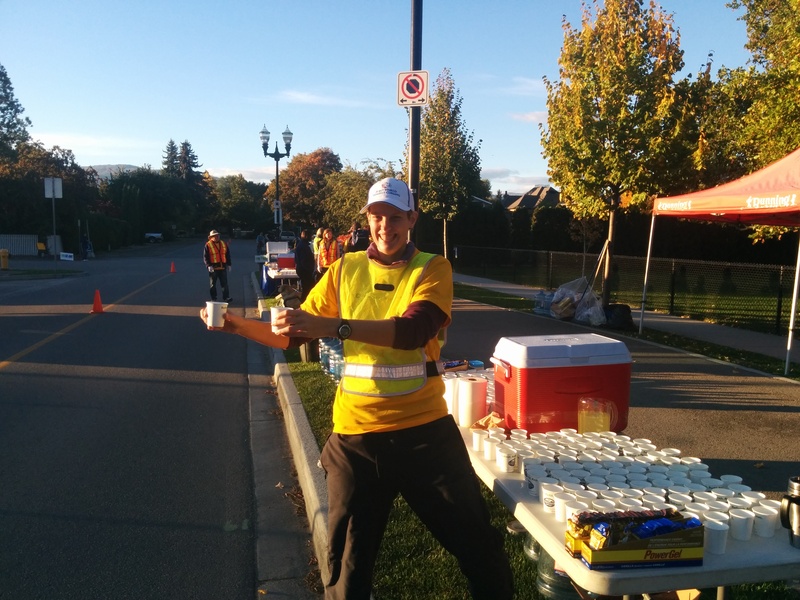 And volunteering at Challenge Penticton, not long after signing up for Ironman, both inspired and terrified me in equal measures! But on the whole I leave motivated to achieve new things. Every time. 3. Spending time with friends. Or meet some brand new ones! It’s great to spend time with friends when you aren’t both running as fast as you can during a hard workout. Volunteering on the course also leaves you perfectly positioned to give a few words of encouragement to friends competing that day, this was the highlight of my day at Challenge Penticton. 4. Check out the race. 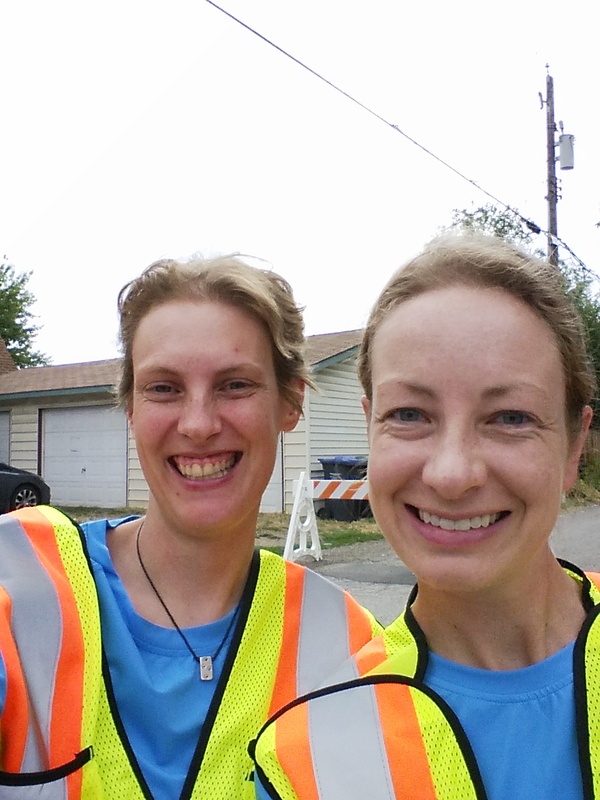 Volunteering offers a great opportunity to check out a new race or course. Before entering my first triathlon, I volunteered at the event, I got involved and decide that, yes, this was something I wanted to try. 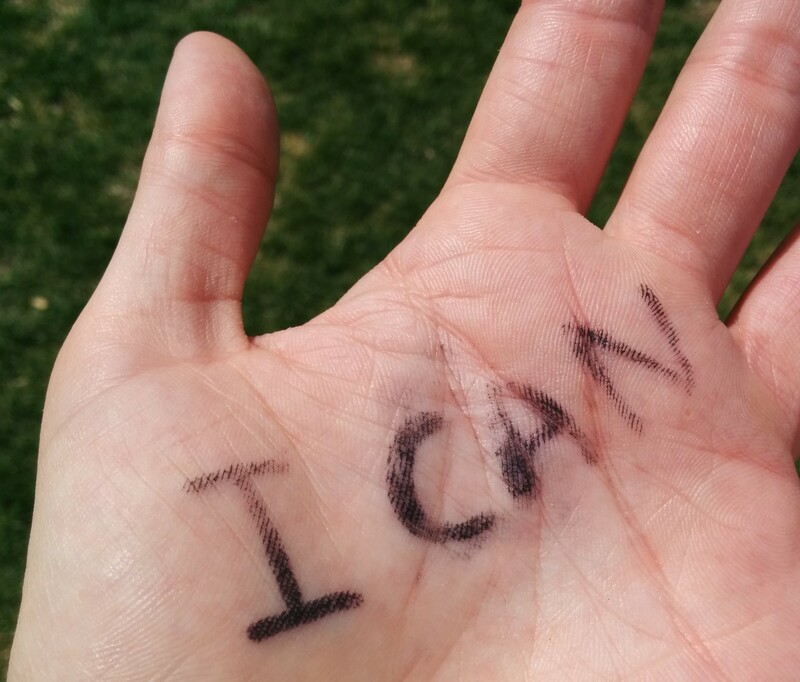 Try it today – you might never look back, like me! Some races give out volunteer swag, draw prizes or appreciation events. Ok, so it’s not really an altruistic reason to volunteer, but if it gets people out of the door and makes them feel appreciated, then it can’t be that bad. Sometimes, they even feed you! When I was a penniless student, volunteer meals got me through many a weekend. …And if you are in need of another garishly coloured T-shirt to add to your collection, this is the place to be! So, get out there and build up some running karma. Hope to see you out there soon. !